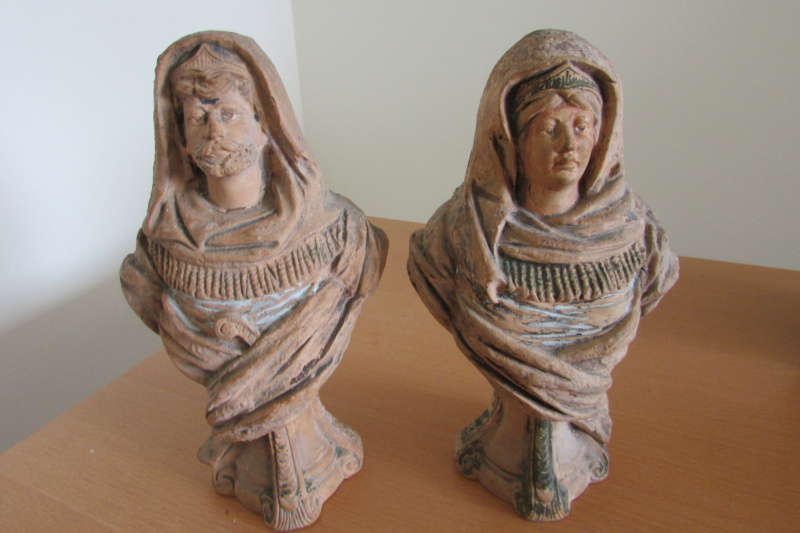 Terracota figures Devon or Not ?
? 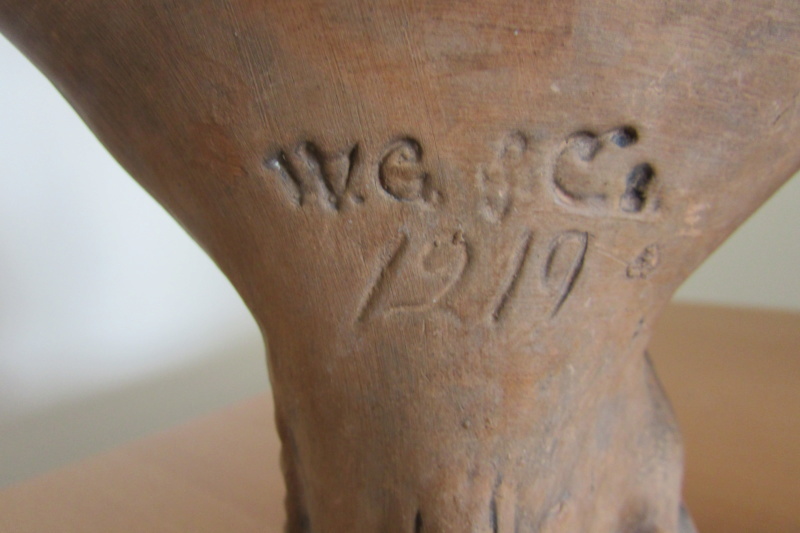 Both marked WG & Co 1919. Seem like a king and queen but haven't been able to identify them . About 8" tall. Re: Terracota figures Devon or Not ? have they been outside? they look hard cleaned? ..and king queen?.... historical ? Biblical? from literature? Yes , I think they have been outside. I haven't cleaned them as is my norm! For some reason I was thinking King Solomon. Also it looks like WG & Co. which led me towards British, but the Co isn't clear. The folds in the figures have some black stain overlaid here and there by a white paint with a sparkle?! !